August 25, 2003 — AMERICAN Indians have always occupied an outsized place in our imagination, usually as a noble people at one with a pristine North American continent. It's time to upgrade the image. Forget buffalo, eagle feathers and tribal dances. Think slots, Harrah's and dirty politics. The California recall is providing the nation an intense education in contemporary American politics, and high on the list of lessons is that Indian tribes have, lucratively, sold their souls to gambling and can buy off or defeat anyone who might want to stand in their way. 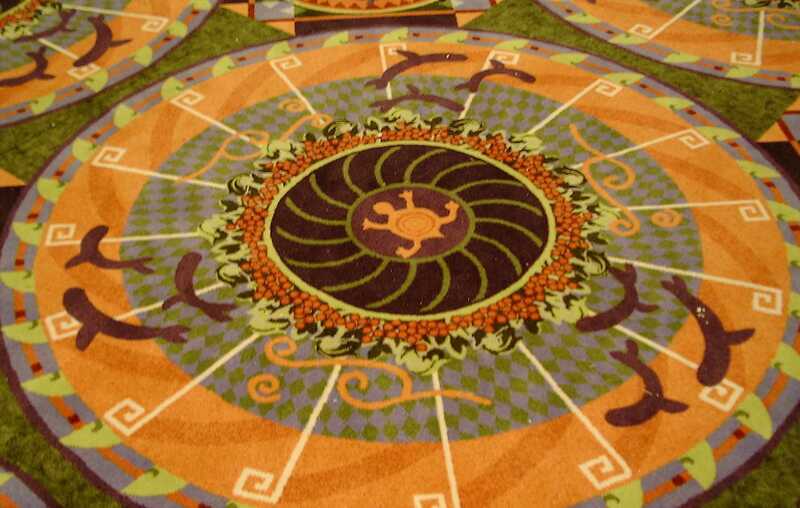 California tribes make some $5 billion a year in gambling revenue, and have poured more than $120 million into state political campaigns since 1998. It's much the same story across the country. It's time to ditch the fiction of tribal sovereignty, and recognize the tribes for what they are: good, old-fashioned, all-American sleaze merchants and scam artists. They should be fully welcomed into the American family like used-car salesmen, Hollywood and telephone marketers. 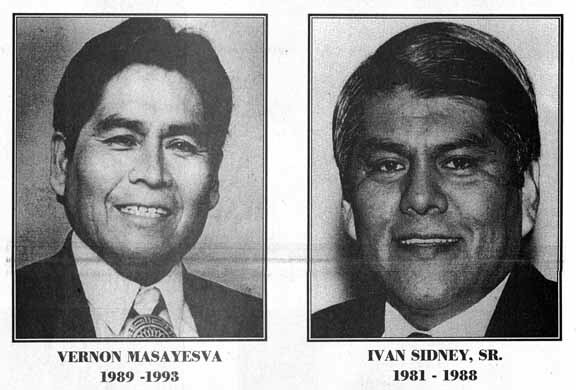 A 25-member California tribe, the Cabazons, kicked off the explosion of Indian gambling by winning a 1987 Supreme Court decision letting tribes run gambling operations that otherwise would violate state law. Congress soon passed legislation saying that gambling must be allowed on reservations, and states should reach "compacts" with tribes over the details. In California, then-Gov. Pete Wilson was a tough bargainer with the tribes, so they took matters into their own hands: They spent tens of millions to pass two propositions opening the state to more Indian gambling, and they bought new Gov. Gray Davis ($1.8 million in tribal cash for his re-election last year), who cut a generous compact with them in 1999. California is now on the way to becoming the West Coast's Las Vegas. Indian gambling is an ill-disguised scam. Some so-called tribes have 30 people or less. They basically rent their names to Las Vegas casinos that run their gambling operations for as much as a 40 percent cut of the take. The upstate New York St. Regis Mohawks are typical, signing a deal a few years ago with Las Vegas-based Park Place Entertainment for a casino resort near New York City. Gambling revenues are supposed to go to the welfare of the tribes, but any excess can be pocketed by lucky individuals. Across the country, outside casino interests have been involved in the invention of new tribes simply to provide more platforms for gambling. The richest tribe in America, the Mashantucket Pequot Tribal Nation, invented itself through skillful lobbying in Washington in the 1980s, and now operates the country's largest casino, the Foxwoods Casino roughly 100 miles outside of New York City. A Malaysian billionaire, who bankrolled the project, gets 10 percent of its net income. At least Foxwoods pays taxes. But even casinos that generate revenue for the government can be more hassle than they're worth, a lesson upstate New York has learned as the cash-rich casino-operating Oneida Nation has basically taken over the surrounding area. In California, amazingly, the tribes pay no taxes under the Gray Davis compact. The ultimate answer to the Indian scam is to end the fiction of tribal sovereignty. If tribes are sovereign nations, why are they allowed to interfere in U.S. elections by contributing huge amounts of money? When another sovereign nation, like China, pours money into U.S. politics, as it did in 1996, it's a national scandal and cause for an FBI investigation. Sovereignty has not only allowed tribes to make an end-run around laws against gambling, but has perpetuated arbitrary Third World-style government on reservations that makes it impossible for businesses to operate there. End tribal sovereignty and perhaps Indians can begin to find ways to make money less sketchy than slot machines, and our image of Indians can again become something more noble. August 28, 2003 — Most Indian tribes in the United States did not ask to be made citizens of your country ("The Indian Scam," Rich Lowry, Opinion, Aug. 25). Nor did we want to be classified as "domestic dependent nations" per your courts. But since we were, why should we not participate in this nation's governance and lobby for our best interests like other special interests groups? Perhaps Lowry would be better off spewing his ignorance and hatred toward campaign-finance reform. Until there are changes to campaign-finance laws, expect Indian tribes to keep doing as all others do, looking out for themselves, just like the politicos and corporations. Tribes partner with corporations because they lack the capital to develop economic ventures on their own. 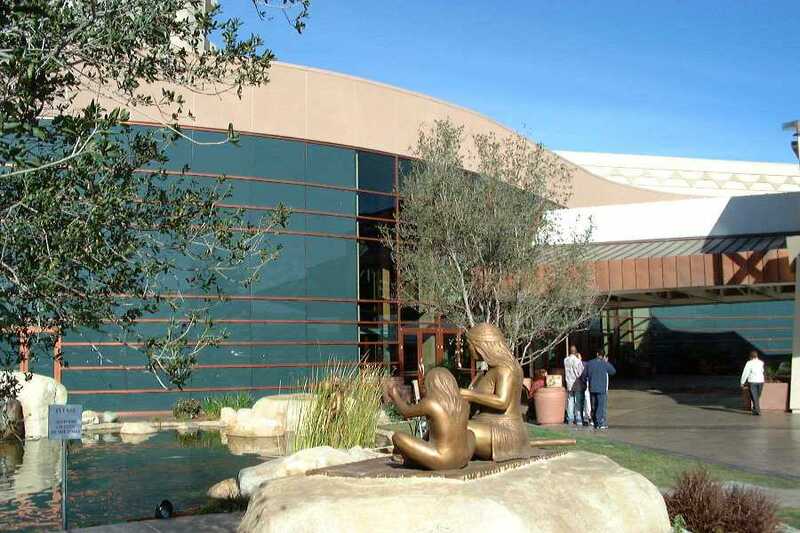 By law, non-Indian profits from tribal casinos are capped at 40 percent to protect tribes. The Mashantucket Pequots were administered as a tribe by Connecticut since colonial times, not "invented" in the 1980s. Lowry's attempt to relegate tribes to living relics is a transparent effort to eliminate them as economic competitors and political players. The few tribes that have a casino are a small percentage; the majority who live in poverty. With a lack of concern for native peoples of the Americas that has led to stereotyping, Lowry describes the view most Americans hold of us. His article is very mean-spirited and, my guess is, a little jealous of American Indians who have for good or bad found a way to pull themselves up by the bootstraps. Indian nations have sovereignty for a key reason: survival. Even with sovereignty, Indian nations have lost tens of thousands of acres to greedy outsiders and a fickle federal government, and the government has at times "terminated" a tribe with the scratch of a pen. To answer Lowry's question as to why Indian nations may give money to political campaigns (unlike foreign governments) -- that's simple. Indian people are fellow Americans, not foreigners. Like every U.S. citizen, American politicians' actions have a weighty effect on their lives. Although Rich Lowry would suggest imposing another "public policy" on my people, we can decide what is best for our nations. Perhaps he should review the entire relationship between our people and the United States. The policies are contradictory at best and deadly at worst. They begin with mass genocide, going through the reservation system, next the "termination" period and, finally, ending with the policy that began in the Nixon era -- the "Self-Determination Act." Indian country is showing some financial and political clout, and look who's all bent out of shape about it. The likes of Rush Limbaugh, Bill "Shut-up" O'Reilly and now even Rich Lowry, the young editor of the provocative magazine of the far right, The National Review. Lowry recently put out a piece of pure diatribe, stimulated no doubt by the fact that well-positioned and pugnacious California Indian tribes now have some financial ability to support their preferred politicians and these are not at this time politicians of the right-wing Republican persuasion. The tribal donations and political support that dismays the Republicans this time has been for kindred candidates and they appear to have been strategically on target, judging by the growing bigoted rhetoric of these ideological talking-heads. Lowry's piece, entitled, "Indian Scam: Harrah's and dirty politics," (Aug. 25, 2003) deserved to be answered, for its sheer banality. Lowry starts by assuring his reader that Indians are not, after all, "noble people at one with a pristine North American continent..."
This is noble savage bit. It's the oldest argument about Indians, akin to "some of my best friends are blacks." Or Chicanos, etc. First, hey, they really are not "noble savages." Then: "They are mostly just savages." Lowry would thus "upgrade the image" for us. "Forget buffalo, eagle feathers, and tribal dances," he tells us. "Think slots, Harrah's and dirty politics." This assumes the new casino enterprises are replacing cultural norms among Indian tribes. This is not at all the way it happens among Indian peoples. In fact, the old ways continue as new ways are incorporated, or not. Dirty politics? An exaggeration at best. Political advocacy. Most certainly. But buffalo, eagle feathers and tribal dances forgotten? Not at all, they are very much visible. Across the spectrum of Indian tribal life these ancient manifestations are very much alive and forthcoming with renewed passion in the younger generations. The National Review is way off the reality of how things work here in Indian country. As usual, it is virulent in its one-dimensional view of life, and particularly Indian life. Lowry claims that "Indian tribes have, lucratively, sold their souls to gambling and can buy off or defeat anyone who might want to stand in their way." This argument is very simplistic, paints all with a one-brush type of bigotry. Tribes are handling their new revenue streams in a variety of ways. Gaming, as Bustamante says, is a tremendous boon for long impoverished communities, who do predate the antecedents of American law. Use of Indian gaming revenues must meet five important criteria, and per capita payments come after all the others. Indian tribes run governments that must provide many services and structures within tribal lands. Indian self-government is crucial to much needed Indian development -- following centuries of being forced off and cheated out of their assets. Lowry would also destroy American Indian self-government. A tribal economic growth is fueling regional economies across the United States; it is also helping to create an Indian culture away from wrenching poverty. New avenues of sharing, such as tribal foundations and major donations, as well as joint investments and joint ventures are beginning to emerge in Indian country. Inter-tribal trading and economic ventures are compiling and growing rapidly. Lowry complains, as if this was in itself bad, that "California tribes make some $5 billion a year in gambling revenue, and have poured more than $120 million into state political campaigns since 1998. But, why is this bad? Is this not what financially capable sectors do across America, support politics toward their basic objectives? Of course Indian involvement in the political process hardly matches the Administration's recent tax cut to America's wealthiest of the wealthy, those least in need within society, and the very same who are gratuitously returning the favor in the form of political donations. From here on Lowry goes for the jugular and into insult mode. It's time, he says to ditch the fiction of tribal sovereignty, and to recognize the tribes for what they are: good, old-fashioned, all-American sleaze merchants and scam artists. Sleaze merchants and scam artists? Wow. Who is this kid talking to, or about? What's acceptable about this kind of insult toward a whole people, about this self-righteous need to attack and insult a whole race? For some of these right-wing hysteria columnists, the more insult the better the argument. For the many of us though, who actually have some roots and range of reporting among Indian peoples, this is not necessarily the image one holds. One might think instead of the elders and the children and the many young professionals, recently graduated from training and college centers, moving home to shoulder the economic and social reconstruction of their communities. But this is not the type of Indian people guys like National Review editor Lowry know or can even think about. He calls for his public to think of Indians as being like, "used-car salesmen, Hollywood, and telephone marketers." This is a stunning debasement of the public discourse. Finally, Lowry's grand argument: The Indians are objectionable because behind a 1987 Supreme Court decision followed by Congressional regulatory legislation "gambling must be allowed on reservations, and states [must] reach ‘compacts' with tribes over the details." Lowry makes it sound that this pursuit of rights and advantages is somehow "un-American." But what could be more American than a win at the Supreme Court, affirming certain basic positions, no doubt deeply studied by the best legal minds in the country. Then, to see Congress step in to facilitate the states interests and to assist in the regulation of the new tribal opportunities, in the best and most fair manner democracy can fashion? It is not a perfect system, but it is the one Indians and all within the U.S. are compelled to live by. Lowry should be happy, but no. Lowry next faults Indians for using their finances to, heaven forbid, actually participate in the political process. Lowry: "so they took matters into their own hands" by donating to political candidates in California. Again, what could be more American than that? Lowry goes on to paint the tribes in the worst of lights, harking back to the TIME Magazine attack cover story about low-population tribes, outside investors and the two or three other incidental reasons for why "Indian gambling is an ill-disguised scam." Charging that the Mashantucket Pequot Tribal Nation "invented itself," Lowry berates it for doing business with a "Malaysian billionaire," then complains that the Oneida Nation has "basically taken over the surrounding area" with its successful enterprises. Lowry's profound ignorance of Indian tribal sovereignty, its foundations within its own history and its basis in American constitutional and case law, is not surprising. He defines "sovereignty" in a convoluted context rather than as an inherent one that now also resides between and among federal and state sovereignties. If Indians would only end tribal sovereignty and give up the myth of self-government, Lowry finally laments, "our image of Indians can again become something more noble." Lowry takes an approach similar to Time magazine's. He strings together a few isolated facts and allegations and hopes readers won't know any better. Fortunately, people are watching people like him. Note Lowry's complete lack of quantification. How many tribes have fewer than 30 members? How many tribes have gaming operations? How many fall into both categories? Lowry doesn't say, probably because he doesn't know. The fact remains that there are more than five hundred sixty federally recognized tribes, many state-recognized tribes, and many Indians who aren't enrolled in a tribe. Lowry could list a hundred corrupt, money-grubbing tribes, document their so-called crimes fully, and it still would be less than 20% of the total. To paint an entire race as wrongdoers based on a couple cases involving less than 1% of the nation's Indians is the worst sort of demogoguery. Let's call a spade a spade. Lowry has falsely assigned qualities and attributes to a group of people by race. That makes him a racist. For more on Lowry, see The Critics of Indian Gaming—and Why They're Wrong.